There is also the chance that a second line of storms develops as the cold front moves through. 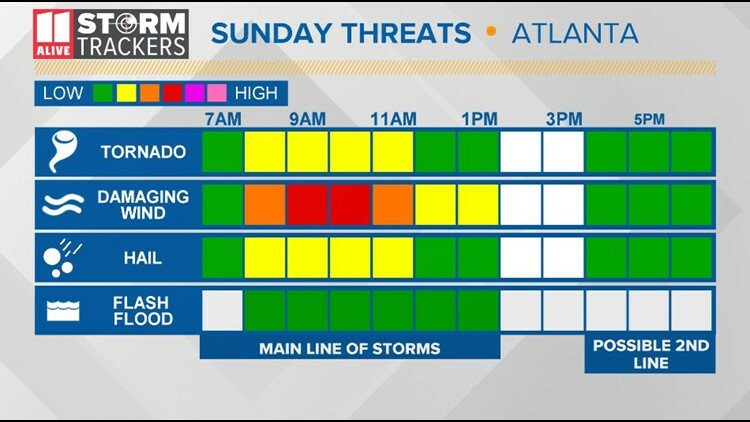 ATLANTA — A strong line of storms is moving through Georgia Sunday. Several tornado warnings and severe thunderstorm warnings were issued during the morning hours. The line had the potential of producing all types of severe weather. All of north Georgia was put under an slight or level two out of five threat for severe weather. There is also the chance that a second line of storms develops as the cold front moves through. These storms could also be strong to severe. 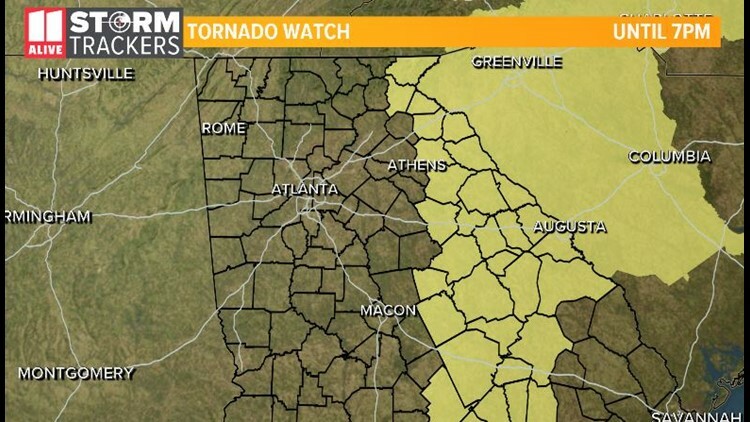 There is a tornado watch in effect for parts of east Georgia until 7 p.m.
Count on some power outages with these storms, but the good news is the soil isn't overly saturated due to overall recent lack of rain.